At Tilden Dental Group, we aim to provide unsurpassed dental care for you in Chicago, Illinois. We are able to do this with the tireless efforts of our dentists, Dr. Jordan Tilden and Dr. Zachary Tilden. They are most known for being able to save the teeth that others have deemed hopeless. Each month we have 2-5 patients come in for a second opinion about a tooth that they were told was unsavable and with few exceptions, the doctors are able to successfully save those teeth. How? They use their 2 main advantages: firstly, for any challenging tooth there will be not one, but two experts consulting on how to save the tooth and secondly, the doctors have advanced knowledge of new techniques and materials to use when the difficulty level rises. The doctors go to roughly 12-20 continuing education courses each year and are constantly reading the dental research journals to stay well ahead of current techniques. Please take the time to visit their featured profiles below to learn more about them and how they are able to provide exceptional service! Make sure to contact us at our Chicago dental office if you have any questions or need to schedule an appointment! We also serve the nearby Chicago neighborhoods of River North, Old Town, Gold Coast, and Streeterville! If you’ve been referred to our office, you already know of Dr. Tilden’s expertise. He graduated from the University of Illinois College of Dentistry with honors and belongs to two dental study groups for advanced, continued education. He offers the highest quality of cosmetic and implant restorations along with over 30 years experience. He has the honor of being an Assistant Clinical Professor for UIC College of Dentistry, has the highest A+ rating with Angie’s List & Better Business Bureau, and is one of the top 40 dentists in the Chicago area according to Chicago Consumer’s Checkbook. In June 2016, we were thrilled to welcome Dr. Jordan Tilden’s son, Dr. Zack (as the patients and staff call him) as our second full-time General and Cosmetic Dentist. 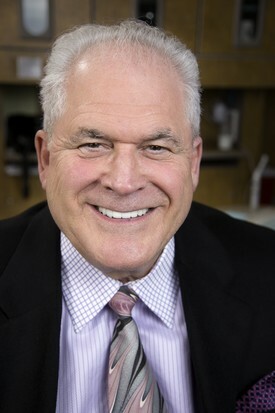 He worked directly with Dr. Tilden for 4 years to learn his proven clinical techniques and diagnostic skills prior to attending dental school at UIC. Dr. Zack’s approach to dental care reflects that the doctor-patient relationship is a team effort, so by asking questions and listening to your needs, he comes to an understanding of what your goals are and how he can make those a reality. Dr. Zack is our preventative dentistry guru. His goal is to arm you with the knowledge you need to be cavity free for years. He also has a focus on minimally invasive dental procedures, cosmetic smile design, which refers to any cases involving the front teeth, and replacing teeth with implants. He is currently using his depth of knowledge to the write the all-encompassing dental health and prevention book entitled, Your Cavity Free Life. In addition, he is excited to be developing new continuing education materials that will be used by dentists and dental students worldwide. Outside of our office, Dr. Zack is a member of the Chicago Dental Society, American Dental Association, and the Academy of General Dentistry. Like Dr. Tilden, he is a member of three specialty study clubs for advanced education and attends roughly 5-10 continuing education courses per year. 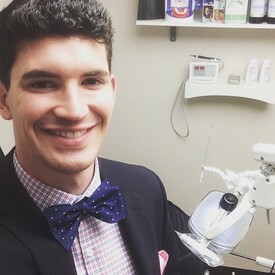 Dr. Zack also has the privilege of being the outreach coordinator at Tilden Dental Group, which means he stays informed about all volunteer dental events offered throughout the year and is responsible for helping us reach our goal of donating $20,000 worth of free dental care each year. Outside of work, Dr. Zack enjoys working out, traveling, bike riding along Lake Shore Drive, listening to podcasts, and getting to know Chicago’s food scene.